Why are Cuban Americans unhappy with Chuck Hagel’s nomination? Last week the president of the United States once more disappointed the Cuban American community by nominating an unpopular character to a key position in his administration. Chuck Hagel’s popularity among Cuban Americans has been low ever since he decided that American foreign policy towards Cuba needed a 180 degree switch. The media in Miami and Hialeah have been making a lot of noise about his promotion and new stories about his position on Cuba have been all over the news. Mr. Hagel’s controversial policies during his career have not only targeted Cuba but, as CNN, ABC and other major news outlets reported, it also concerns issues of national security like U.S relations with Israel and Iran. As a senator Mr. Hagel introduced controversial legislation aimed at ending all unilateral sanctions against Cuba and opening trade with the Caribbean island. For more than 50 years U.S policy towards Cuba has been democratically administered by the most powerful ethnic lobby in the U.S Congress headed by Florida representative Ileana Ros- Lethinen, the Diaz- Balart brothers and former senator Mel Martinez. Through the years the Cuban American population settled in South Florida and New Jersey, has grown in number and in influence as a growing number of Cuban American politicians has entered politics. At the moment, there are five Cuban American representatives in the House and four in the Senate, including key figures like Ted Cruz from Texas and Marco Rubio from Florida. Most of these politicians belong to the Republican Party and heavily populated Cuban communities like Hialeah, Broward, Union City and Hillsborough have elected them. The one thing all these politicians share in common is their love for Cuba and their desire to see their home country free from totalitarianism. The Cuban American lobby was formed with the purpose of drafting legislation oriented to achieve these goals. There is widespread support for unilateral sanctions against Castro’s Cuba among the Cuban American community and election results only serve to confirm this. As a Cuban refugee I can testify on behalf of my community that our support for the trade embargo is not intended to punish the people of Cuba. For us the goal is to isolate the regime from the international community and to debilitate Castro’s economic potential. We know better than any outsider how the Castro regime transforms all this hard currency into repressive machinery of torture and censure. Hagel has been a notorious character in the community since 2003 when he introduced the infamous bill “U.S- Cuba Trade Act” to Congress, which was almost unanimously rejected by the Senate and threatened by the House Foreign Affairs Committee chairwomen Ileana Ros- Lethinen. Ileana was born in Cuba and her parents were forced to abandon the country after Castro threatened her family and confiscated their properties. She has been the loudest critic of Mr. Hagel’s inconsistent philosophy every time the former senator seeks a new position of political power. 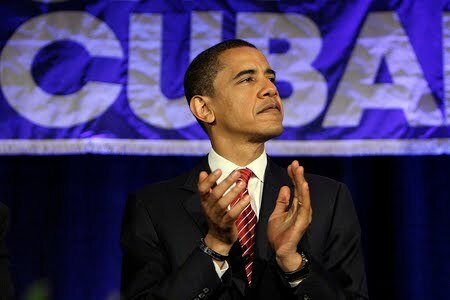 However, his record regarding Cuba speaks louder than any words spoken by Ileana Ros against him. Since 1999, Hagel started recruiting mostly Democratic senators with a sympathetic opinion of Castro’s Cuba to form his own lobby to counter balance the Cuban American lobby. The chairman of the Senate Committee on Agriculture, Max Baucus, Chris Dodd and New York congressman Charles Rangel are among the most hated faces in Cuban Americans politics. Instead of engaging in a dialogue with the exile community or getting to know the inside stories of dissidents, they have traveled to Cuba on more than one occasion to lunch with the Castro brothers and tour to the only part of Havana that has not crumpled down yet. Their main objective is to get the Treasury Department to issue a permit for farmers in their states to be allowed to sell their agricultural products to the Cuban government. Last year when my mother went to Cuba for a family funeral, she was surprised to find food labeled “made in America” in a hard currency store reserved for foreigners and the elite. Farming equipment and medicine have also been imported prior to 2003 due in large part to Hagel’s legislation. However, the protagonists in this story are Cubans and I believe we deserve to be heard since 74% of our community is also naturalized American. As statistics from the Center for Cuba and Cuban American studies at the University of Miami reveal, we elected President Bush with 75% of the vote in 2000 and after he imposed restrictions on travel and trade with Cuba we re- elected him in 2004 with 78% of the vote. Nationwide, McCain got 63% of the Cuban American vote and in Florida, Marco Rubio got 72%. All of these candidates have run on a promise to maintain sanctions on Cuba and they have been very successful. President Obama promised the Cuban American National Foundation to maintain the trade embargo on Cuba during his election and re- election campaign in Florida. Today Cuban Americans wonder if president Obama will uphold that promise he made. The Cuban American community is concerned with Hagel’s future policies as Defense Secretary. There are already rumors that Hagel intends to persuade Obama to lift all sanctions on Cuba, including the US trade embargo. Mr. Hagel should know that Cuban Americans also deserve to have a say in US- Cuba relations as long as the Castro brothers remain on power. We all know someone who have crossed the sea trying to reach American soil; we all know someone who has been beaten, killed or incarcerated for speaking on behalf of human rights; we are the ones who have gone through periods of starvation unrelated to American unilateral sanctions and we are the only ones who are being forced to live in a very generous foreign land that we have adopted as a second home. So Mr. Hagel, do us a big favor and keep your hands off Cuban American politics. Tags: Obama; Ileana Ros- Lethinen; Cuban Americans; Marco Rubio. Bookmark the permalink.